This post is on the progress of the projects during this week. To see others progress visit Pintangle. I have posted 1000 posts on my blog in 5 five years. It all started with needing platform to post the TAST stitches and sharing my embroidery experiences. the motivation- SharonB. I have been regularly posting since 2011. 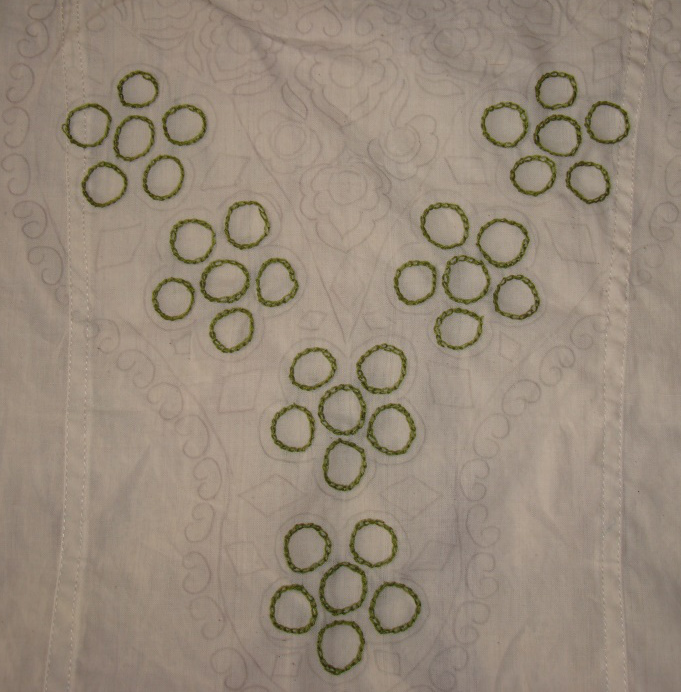 I am lagging behind on TAST challenge, still working on beaded knotted buttonhole band sampler. These two edges were completed on Randje per week challenge. 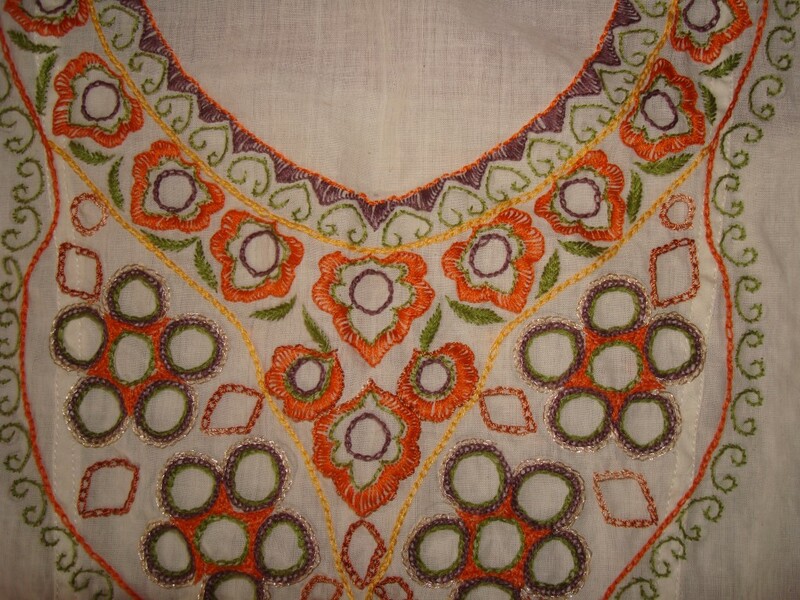 I have stitched the petals with mirrors on my tunic. Counted the total mirrors this yoke requires, came up with 75. The front is going to be quite heavy. LOL! What was I thinking? Is there any embroidery which will reduce the fabric weight? And mine too? 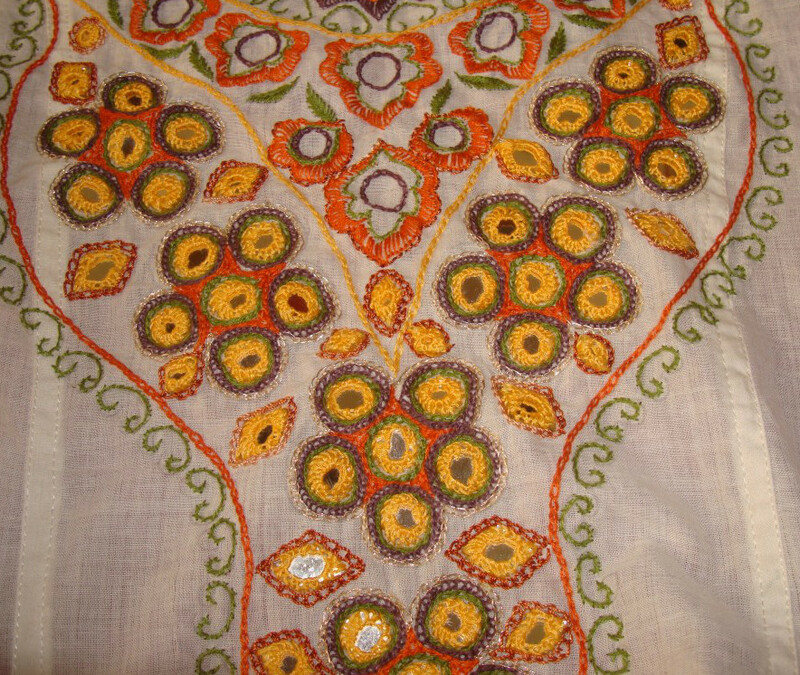 The border would also have some gold beads before going to the tailor, which I am hoping will happen this week. This post on work in progress helps in work on the projects grow steadily. To see others progress visit pintangle. Yesterday I was downloading some files from antique pattern library. Totally forgot to write this post. 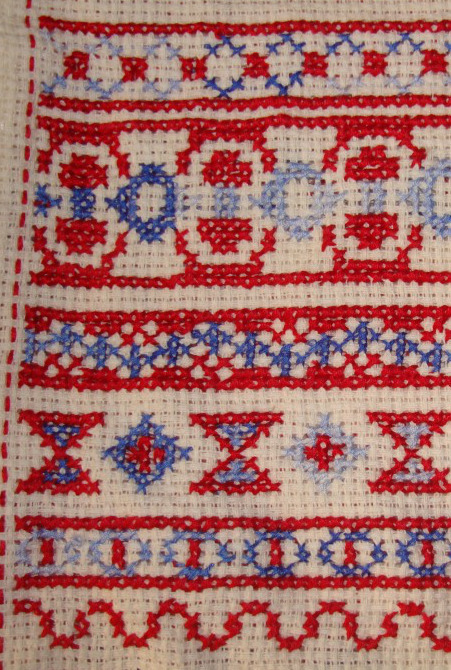 I completed two more cross stitch edges on randje per week challenge. The work on tunic also progressed a little. 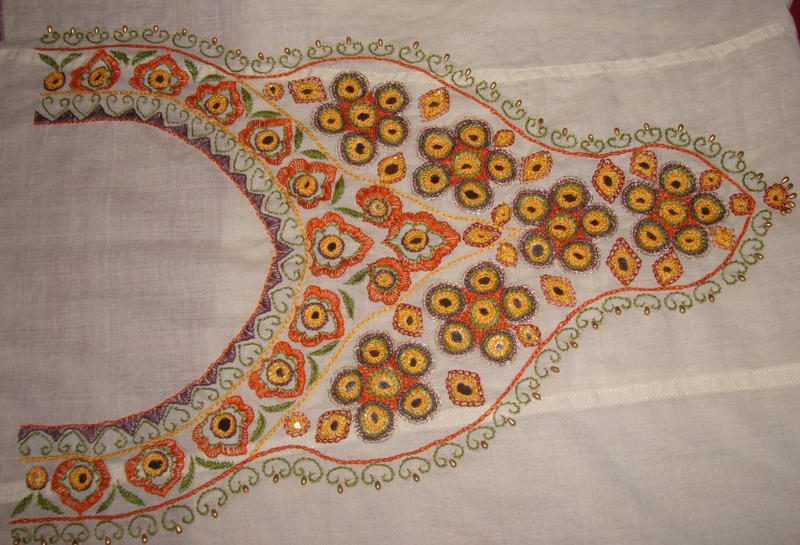 Two features of this ethnic embroidery are – use of five six colours and repetition of stitches, patterns. After some time it gets monotonous. After the work on this project this week, it is ready for stitching the mirrors. These two projects took precedence and TAST challenge was not touched this week!